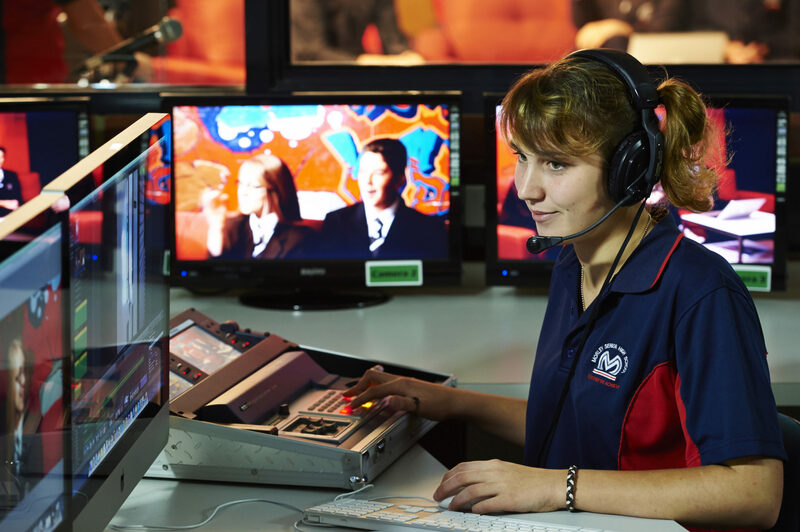 If you have an interest or passion for creative arts, and you’re inquisitive and industrious by nature, then why not put your hand up to be part of the Specialist Multi Media Program (MMP) at Morley Senior High School. 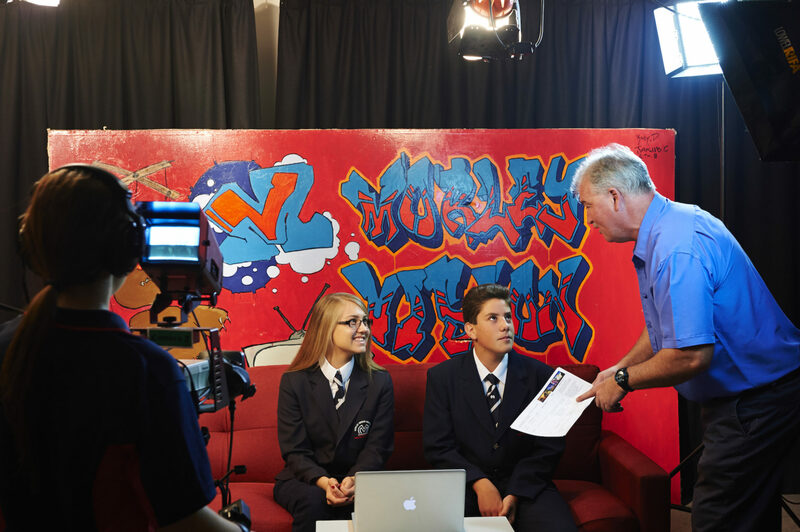 The MMP program enables students to be involved in a number of creative fields including art, digital design, drawing, graphics, media, multi-media, photography, TV production and presenting. 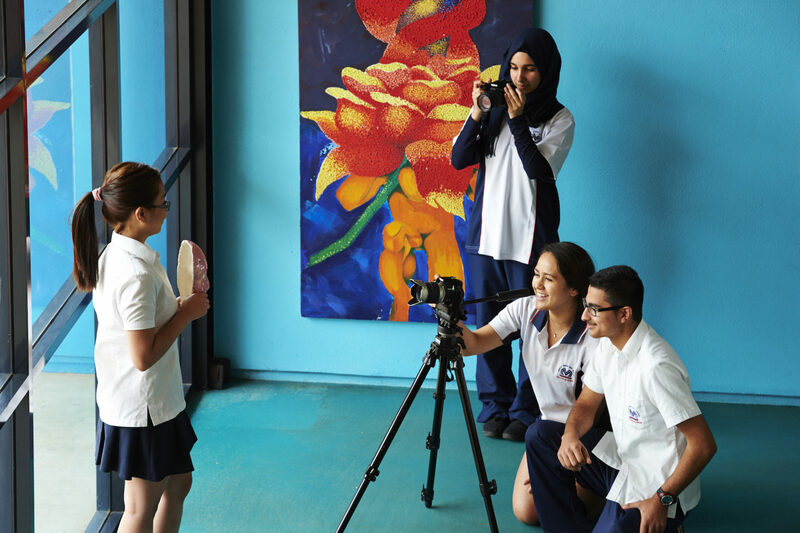 MMP students utilise a wide range of industry standard technologies to plan, create and share learning in a rich and meaningful way. 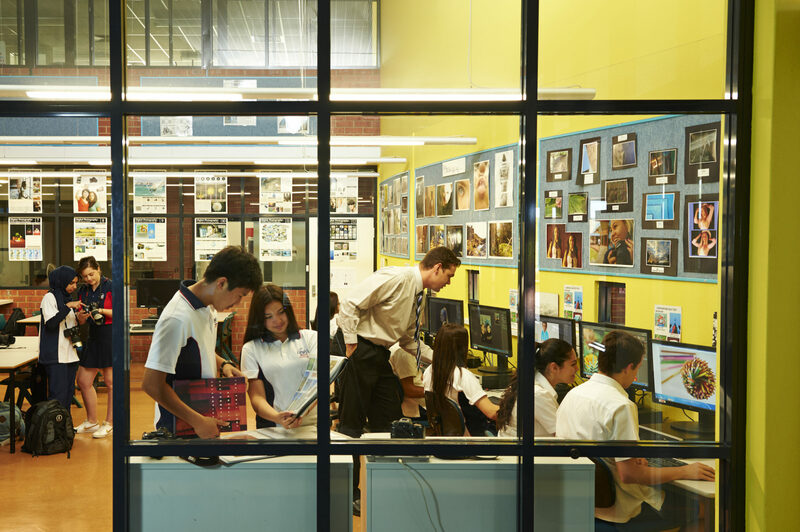 Adobe CC Suite: Students learn how to use Photoshop for image manipulation, Premiere Pro for video editing and effects, InDesign for publications and Illustrator for graphic design. Traditional creative arts: Students master techniques in drawing, painting, ceramics, clay modelling, screen printing and lino printing. 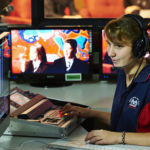 Television studio: Students undertake both on-screen and production crew roles. 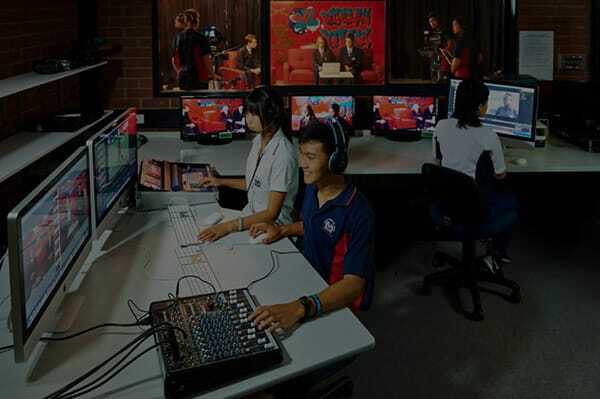 Our popular studio includes a four camera feed into a state of the art Tricaster system and virtual sets using green screen technology. Students enjoy using the green screen technology and applying different backdrops to enhance their productions. Critical to the learning process is understanding the interrelationship and connections between a range of creative disciplines. 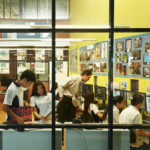 Individual and group projects prepare students with a range of skills and knowledge for combining the traditional arts process, with modern technology in a range of contexts for various audiences. Completing a certificate leads to direct entry pathways into TAFE, and prepares students interested in pursuing a university degree in art and creative industry related areas. Year 6 students wishing to apply for the program must complete a testing process. This involves demonstrating your creativity through simple drawing and design tasks, and addressing why you wish to join the Multi Media Program. Students may also submit a folio of creative arts work on testing day. The folio should highlight the student’s creativity in tasks such as drawing, painting, cartooning, photography, video or film production, animation, advertising and anything the child has made with a purpose (not all types of work need to be submitted). Folio submissions may include hard copies in a folder, or digital copies on a USB, or a combination of both. Times for test sessions are generally listed on our <link to page on website>, Facebook page, and are shared with feeder primary schools and non-feeder schools in the region. 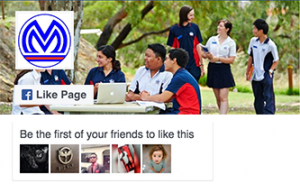 Students who are successful in receiving a placement are expected to remain in the program until the end of Year 10. To find out more about applying for the Specialist Multi Media program, or to make a test booking, contact the school office. This entry was posted in broadcasting. Bookmark the permalink.